Calcium Bone Maker Complex is the new generation bone support supplement, designed from the new understanding of bone as dynamic, complex tissue. Its calcium source is MCH-CalTM ossein microcrystalline hydroxyapatite, supplying collagen and other bone matrix proteins and growth factors along with highly bioavailable calcium. This formula is strongly fortified with vitamin D as D3 (cholecalciferol) to help ensure its calcium actually becomes incorporated into bone. It also supplies vitamin K2 as menaquinone-7 (MK-7, the most bioactive vitamin K) to target calcium to bone and away from the soft tissues. 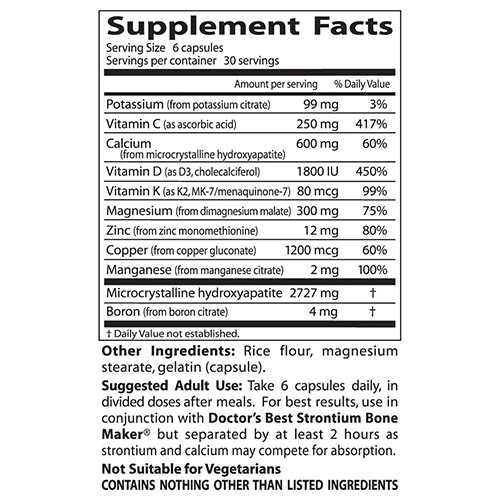 The formula also provides generous allowances of vitamin C and the nutritionally essential minerals magnesium, potassium, zinc, copper, manganese, and boron, all necessary for ongoing bone health maintenance. Rice flour, magnesium stearate, gelatine (capsule). Take 6 capsules daily, in divided doses after meals. 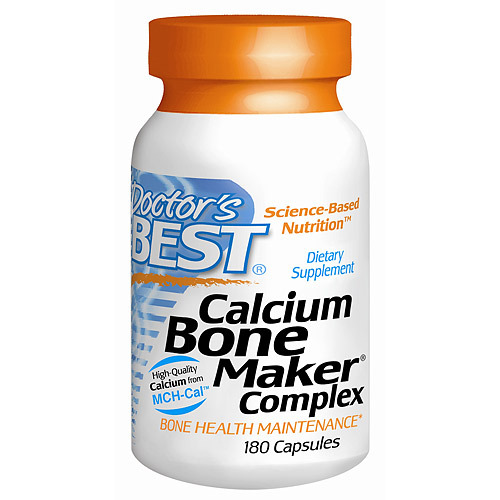 Below are reviews of Calcium Bone Maker Complex - 180 Capsules by bodykind customers. If you have tried this product we'd love to hear what you think so please leave a review. I have recommended this to my doctor, who was delighted that it is FREE FROM CORN AND WHEAT. 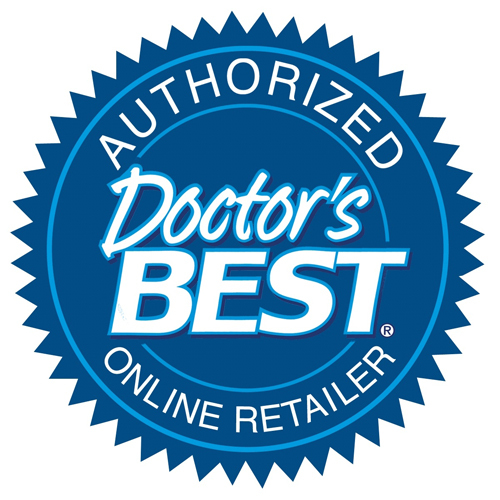 Doctor`s Best Calcium Bone Maker Complex is the new generation bone support supplement. Provides bone matrix proteins and growth factors along with highly bioavailable calcium. 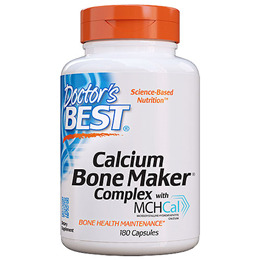 Helps bone health maintenance.